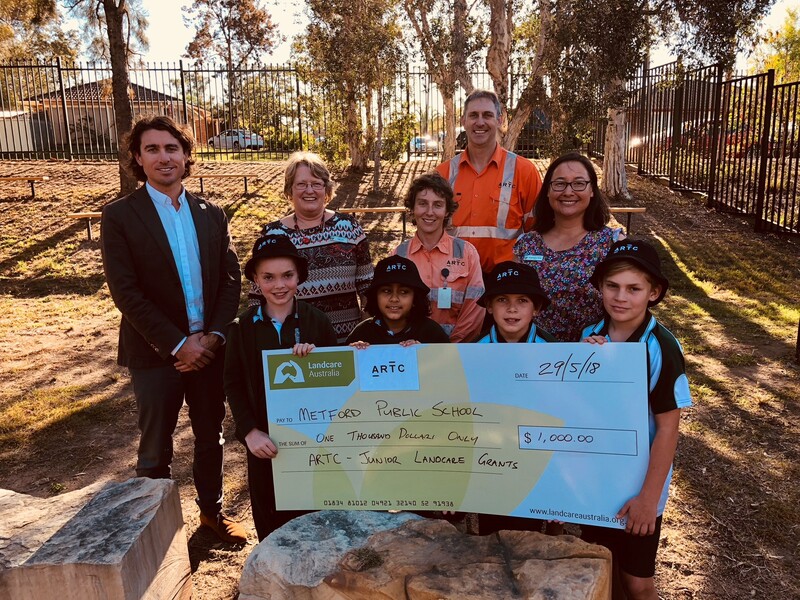 Metford Public Schools is one of 29 Hunter Valley schools receiving Junior Landcare grants from the Australian Rail Track Corporation (ARTC) this week. The program invited Hunter Valley and regional NSW schools neighbouring the freight rail network to pitch their environmental ideas for funding. ARTC recently announced a total of nearly $30,000 worth of funding would be provided to deliver the exciting school projects and promote safe rail behaviours. Students at Metford Public School hope to see an increase in the range of local native fauna by planting a native food plant garden. Their garden will provide opportunities for students, teachers and the community to learn about native edible plants and Indigenous foods. In addition to Maitland area schools receiving grants, other successful schools are spread across the Hunter Valley and regional NSW including Narrabri in the north, to Narromine and Dubbo in the south. (See complete list below) A broad range of projects are being funded including veggie gardens, permaculture gardens, native gardens, worm farms, recycling projects and sensory gardens. Landcare Australia is a not-for-profit organisation with a vision of all Australians actively caring for the land and water that sustain us. For over 25 years, Landcare Australia has worked collaboratively with federal, state and local governments, corporate partners and sponsors, and individuals, to build capacity for the Landcare community to better manage Australia’s crucial land and water assets. Landcare Australia delivers hundreds of projects annually through the volunteer efforts of local community groups, Indigenous groups, and the more than 5,400 Landcare and Coastcare groups that make up the Landcare movement. Visit landcareaustralia.org.au for more information.